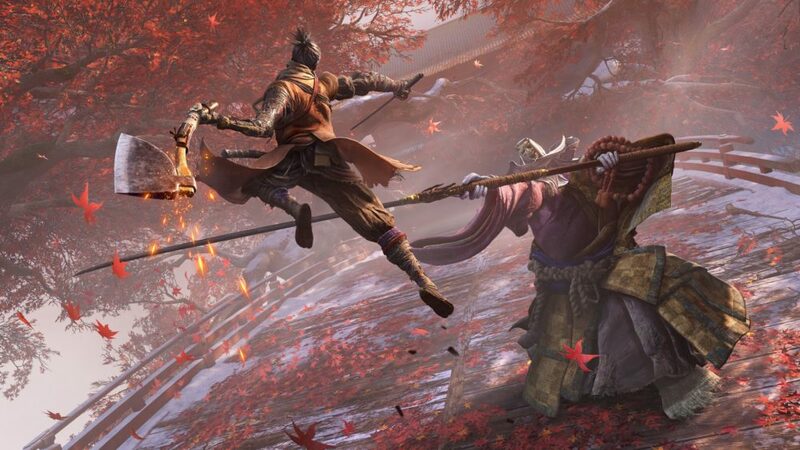 Sekiro: Shadows Die Twice is finally here and Soulsborne fans are able to jump into yet another brutally difficult world from the minds of the FromSoftware developers. Don’t expect too much of your skills to transfer over though. Sekiro is a hard game as you would expect, and if you’re here, you’re probably wondering how to beat Blazing Bull in Sekiro: Shadows Die Twice. Below we have a video that demonstrates how we were able to beat Blazing Bull in Sekiro. However, if you’re someone that likes a little bit of written direction as well, allow us to explain. Blazing Bull is a very accurately named boss. It is literally an angry, giant bull that is on fire. Very angry. Also very on fire. The good thing about bulls though is that they can be quite predicable. Ironically, it’s their erratic movements that are predictable. If you’re patient, you can wait for Blazing Bull to do something stupid and then take advantage of it. Don’t try and take Blazing Bull head on. You will have your guts rocked. Instead focus on dodging and jumping over its attacks. There’s not a good reason to rush to get damage done in this fight. Instead wait for it to throw itself into a corner, or to get angry and kick up into air. While it is stuck, not facing you, or just jumping around for no reason, that is your opportunity to attack. Get a few shots in and then put some distance between you and Blazing Bull to go back on the defensive. Just rinse and repeat and you’ll slowly wear it down to the point where you can finish him off. There’s no radically different phase or behavior that you need to worry about. Literally just an angry bull that’s on fire. You can also purchase the Shinobi’s Firecrackers from the Memorial Mob vendor at Ashina Castle Gate, near the area where you fought Gyoubu. The Firecrackers will stun the Bull for a few seconds, allowing you to get a few hits in. That’s it for how to beat Blazing Bull in Sekiro: Shadow Die Twice. Be sure to check our our Sekiro wiki guide for more tips, tricks, and frequently asked questions answered.